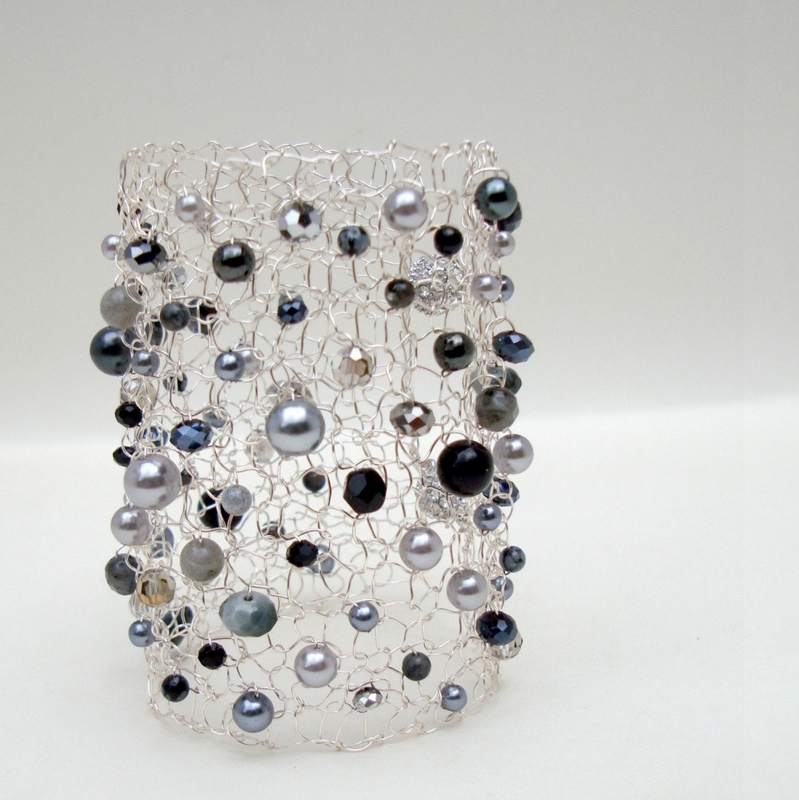 Grey Black Statement Arm Cuff. Big Wire Lace Unique Jewelry. Pearl Bracelet. GLAM Line created for the GBK Golden Globes Celebrity Gift Lounge & Official CMA Celebrity Gift Lounge of the 2012 Country Music Awards. 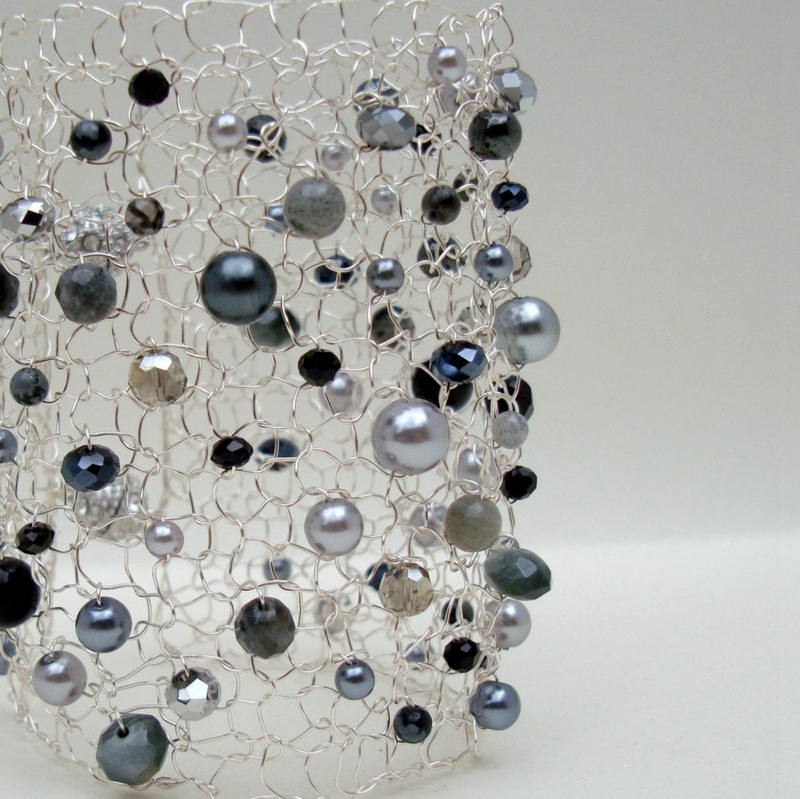 This couture hand knit cuff is dripping in labradorite, snowflake obsidian, swarovski crystals and pearls in all sizes of and gray, black and silver. It literally shines and is beautiful for any season. Truly a one of a kind piece of art to wear on your arm. I hand string and hand knit every piece of Lapisbeach jewelry. This piece was custom made for country music personality Laurie DeYoung. 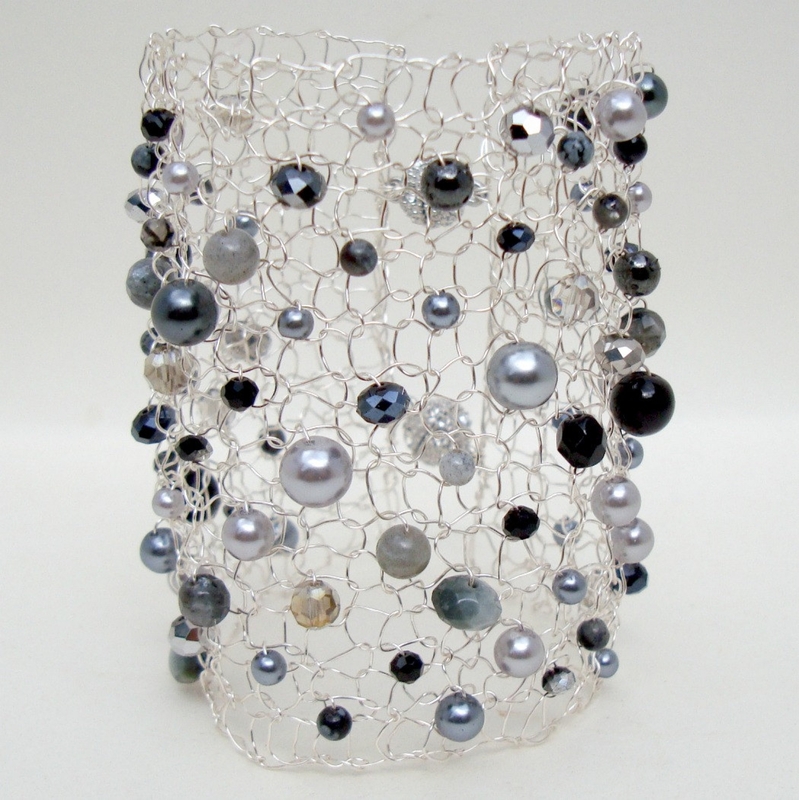 Every piece I create turns out differently due to the bead line up - so please take note the photograph is a representation of the cuff you will receive. 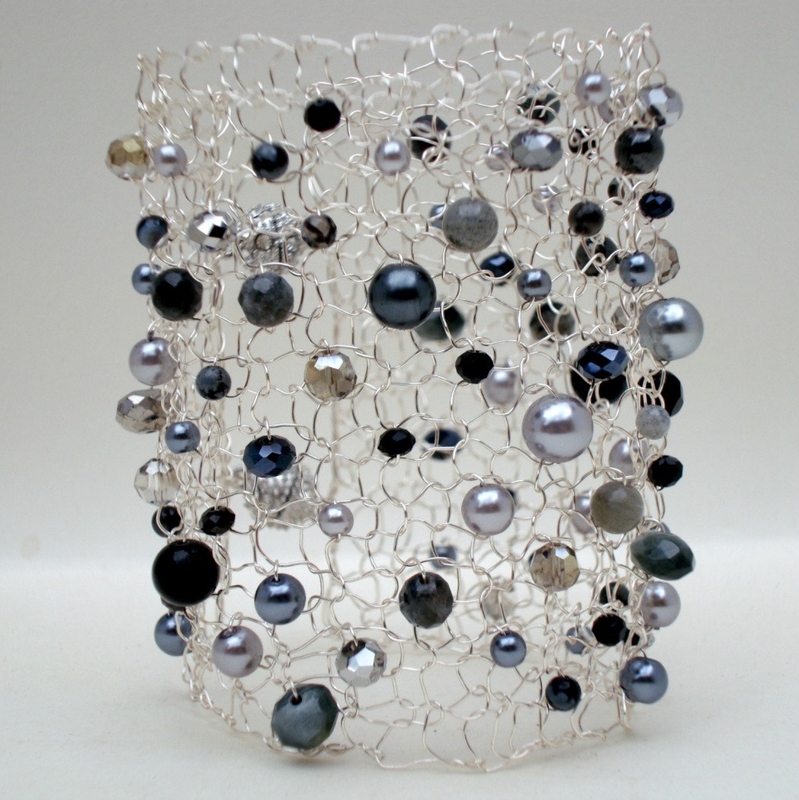 It is statement size - Stunning at over 3+ inches in width and will be custom knit to your wrist measurements. It fastens with two beautiful magnets for ease of use.